Have you been spinning wheels using internal resources to fill open executive level positions within your organization? Many business owners find that, what they assumed to be a straightforward, simple sourcing opportunity turns out to require far more energy and internal resources than they initially imagined. If you’re ready to gain some momentum on any of your managerial or C-level positions, it’s time to consider working with executive recruiting firms in Milwaukee. Established, professional and reputable executive recruiting firms in Milwaukee will be able to swoop in, no matter where you are in the hiring process, and effectively source the right candidates who have the capabilities of assuming a managerial position with little ramp up or training time. When you begin screening executive recruiting firms in Milwaukee, you will instantly realize that not all agencies are created alike. What’s one of the biggest differences you’ll notice when determining which firm makes sense for your business? Their specific sourcing approaches. Some executive recruiting firms in Milwaukee embrace the very latest sourcing innovations to help their clients expediently and effectively fill their positions. Others, however, still rely on outdated resources and methods when attempting to fill these high-end opportunities, resulting in possibly less-qualified candidates and a longer overall time to fill each position. Knowing what to look for when selecting modern executive recruiting firms in Milwaukee can quickly help you separate the innovators from the rest of the competitive pack. When having your initial discussions and consultations with potential agencies, be sure to ask them how they source their prospective candidates. Those caught behind the latest trends may often only offer one of two specific sourcing approaches. However, a strategic and savvy firm will offer a slew of methods and resources. No matter how many resources a particular firm uses, you will also want to gauge just how heavily the recruiters at a given agency rely on job boards alone. Yes, job boards certainly do have their place in any executive search. However, giant and generic job boards can convolute the process. Instead, look for executive recruiting firms in Milwaukee that tap into the power of smaller, industry-specific job board sites to know that you are partnering with a team poised for optimal search success. Beyond job boards, social media recruiting has also gained favor with recruiters in every capacity…and with good reason. A candidate’s resume alone can only give a one-dimensional glimpse at what a particular applicant can bring an organization. However, social media pages can help create an idea of who the “real candidate” truly is. Not only can social media be used to find candidates in the process, but innovative recruiters will also use their own pages to help broaden the results on your particular search. 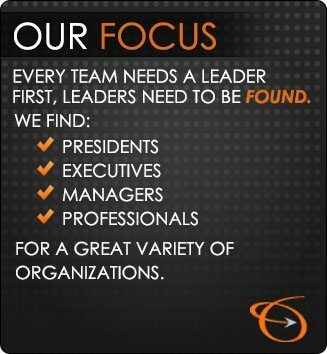 Most importantly, when screening executive recruiting firms in Milwaukee, look for a team that truly wants to partner with you throughout the process. Old school agencies may instantly assume the role of “order-taker” and merely sit around waiting for you to outline your needs. A true innovator will proactively work with your team to understand your specific corporate culture, goals, and objectives to find a great candidate who has both tangible skills and intangible characteristics for the ultimate final fit. Want to hear more about Lawler Group’s innovative approach to executive searches? Contact us now!